UDM Downloads > #1 Easy POS-GOLD Point of Sale - Free Download! Easy to setup, and very easy to learn POS system with powerful features. A perfect solution to improve efficiency and profitability of your business at any size. Point-of-Sale, Quote, Invoice, Packing List, Track Sales History, Inventory Control System with Bar Code Scanning, Product Word/No. Search, Customer's Questionnaires, Multiple Mailing Lists (10), Print Labels and Mailing Lists, Discount Coupons, % Discount and Dollar Discount, Office, Warehouse, Restaurant set up (table, server, cooking instruction, tip adjustments) Managements, Various Reports, Download Reports and Data to Excel, optional upload capability from Excel. Do-it-yourself company LOGO to print on various forms. Network Compatible, Good security system and HELP screens. - Long-term free evaluation period to make sure you are in business. 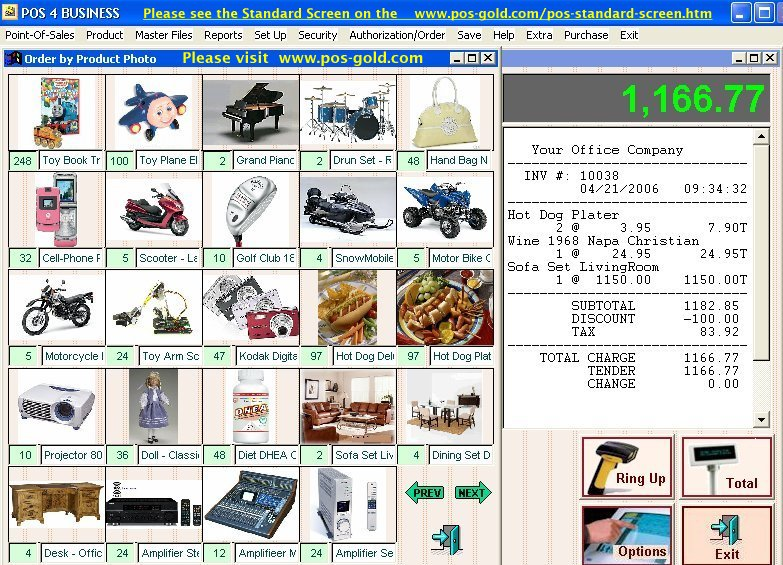 - As for the set up, you can start using POS-GOLD with minimum set up. Just enter the information for the most frequently sold products into product information set up screen. You can set up everything else as you go along, and feel comfortable with the system. Learning POS-GOLD is also very simple. Icons, and captions suggest the most of the things you need to know. Then if you follow your instinct and common sense, you cannot be too far wrong. Also, ample help is provided throughout the system.